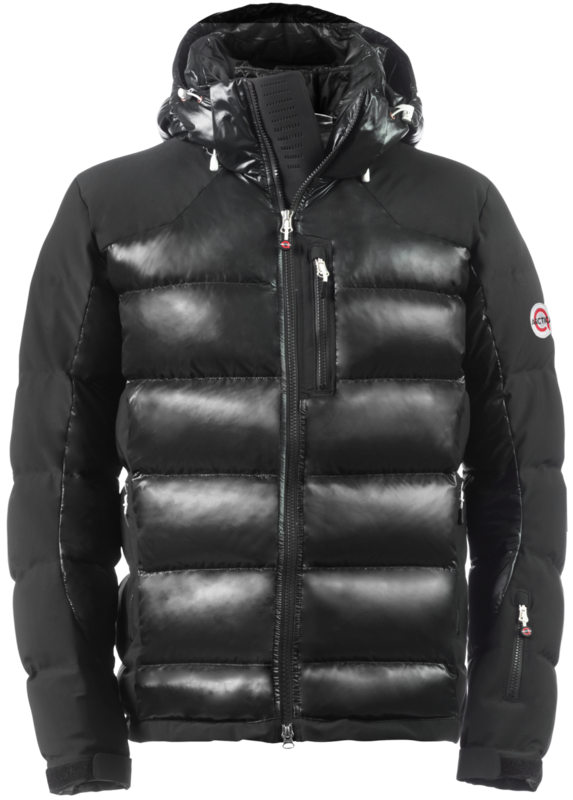 Elegant and functional, the Arctica Men’s Gate Master Down Jacket is the third iteration designed specifically for gate training in early morning or frigid conditions. Using FLEX20 stretch waterproof/breathable fabric in high impact areas and lightweight but strong breathable DURALITE fabric in non impact areas, racers can train longer to gain that competitive edge. The trim fit is carefully designed to work over a GS suit. 650 fill power goose down traps body heat. Interior build includes DURALITE, a 20 denier nylon fabric that is very soft, lightweight and slips on easily over you speed suit or layers. Waterproof exterior chest, center front, hand warmer and pass pockets. Interior features include radio and goggle pocket, powder skirt and zippered chest pocket. Reflective logos for safety.